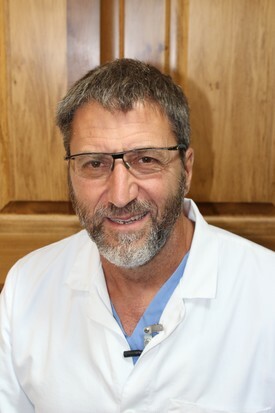 A practitioner of dentistry for 30 years, Jonson graduated with honors from Wright State University, then went on to graduate from the Ohio State University College of Dentistry. He joined his father’s practice in Kettering immediately after, and then took over the practice once his father retired. Dr. Jonson’s unique blend of experience, compassion, and skills provide an environment where patients feel relaxed and confident that they are receiving the highest quality dental care. Dr. Jonson strives to understand the needs and concerns of each individual patient. To keep himself and his Kettering dental team current with new dental developments, Dr. Jonson attends several continuing education courses throughout the year. He is also involved with many dental affiliations, including a fellowship with the International Dental Implant Association, Roots Summit International Endodontic Association and membership to the National Board of Dental Examinations, and the North East Regional Board of Dental Examiners. Dr. Jonson has traveled the world learning from renowned experts, spending countless hours in continuing education to deliver excellent state of the art dentistry to his patients. Dr. Jonson believes that all people deserve quality dental care, and so he is actively involved in his community outreach in Dayton and the surrounding communities, as well as international mission trips. He traveled to Ecuador to help needy adults and children, as well as to the Dominican Republic where he volunteered to place dental implants for underprivileged patients. In his spare time, Dr. Jonson loves to spend time outdoors. He enjoys sailing, running, and competitive tennis. He lives in Centerville, Ohio with his wife, two sons, and one spoiled dog.